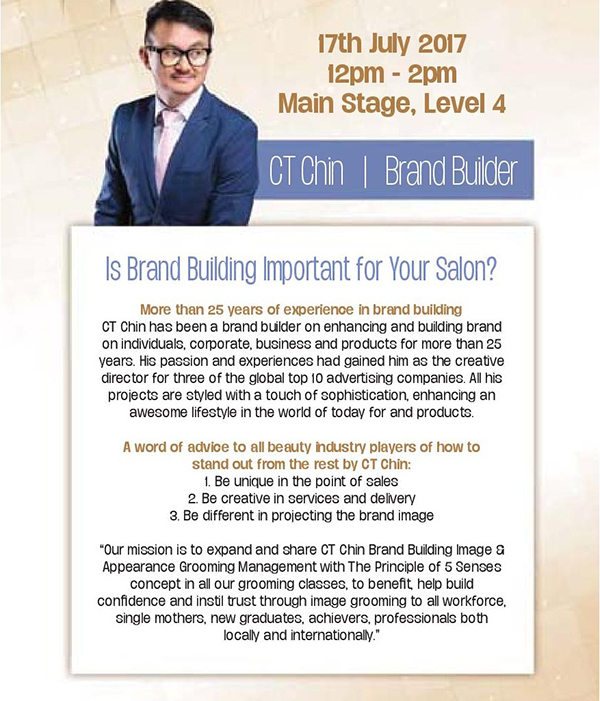 [MALAYSIA] “Is Brand Building Important for Your Salon?” Meet CT Chin on 17 July! 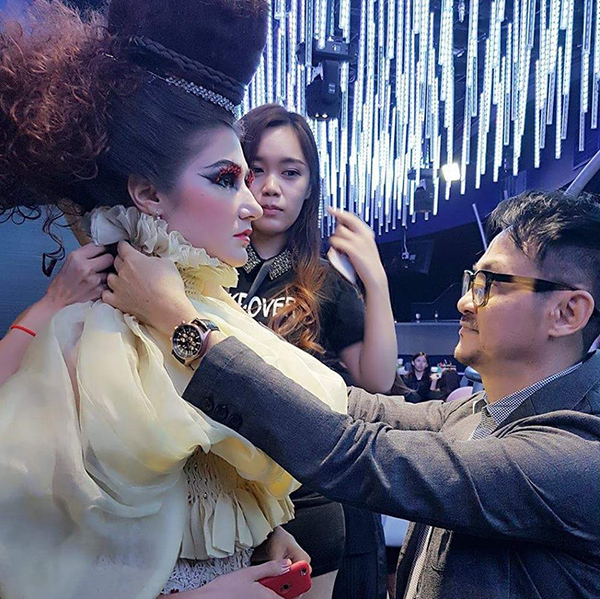 [MALAYSIA] "Is Brand Building Important for Your Salon?" 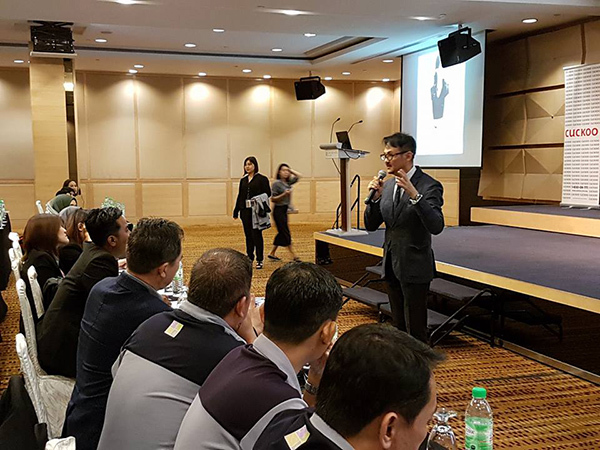 Meet CT Chin on 17 July! “Is Brand Building Important for Your Salon?" 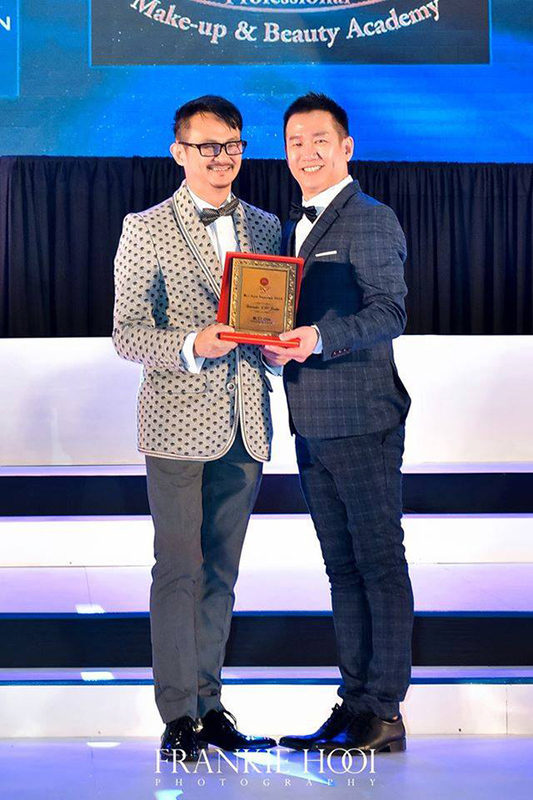 Meet Famous Brand Master, Mr. CT Chin on 17th July (Monday) 12pm at Cosmobeauté Asia Main Stage, Level 4 at PWTC, Kuala Lumpur! 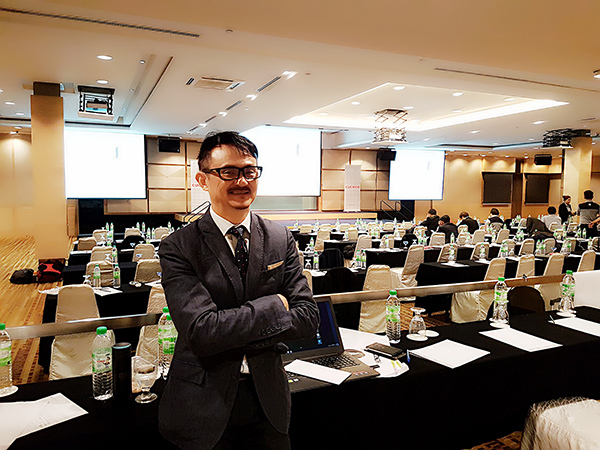 CT Chin, the founder of CT Chin Brand Building, is a brand builder on enhancing and building brands on individuals, corporate, business and products. 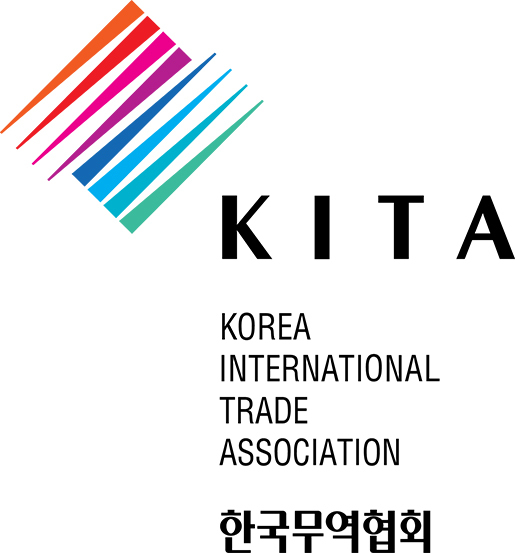 CT’s passion and over 20 years’ experience in the creative field had successfully developed The Principle of 5 senses which is the core concept in all branding and grooming classes. 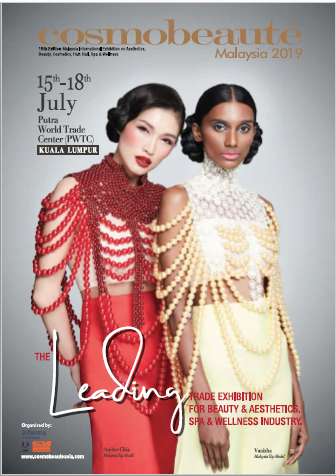 All Beauticians, Hair Stylists, Salon Owners & Individuals in Beauty-Related industry are welcomed to listen to CT Chin’s sharing and branding tips. To secure your seat, please WhatsApp us at +6017 300 5688 now! Free Entry! Limited seats available!